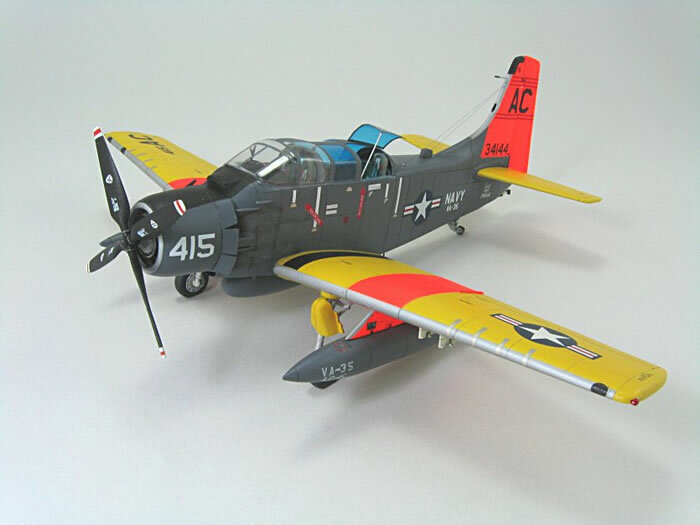 This is a Target-Tow version of the venerable Skyraider, utilizing the 1/72nd Hasegawa kit along with the RVHP resin conversion kit, making it a "UA-1E", according to RVHP's boxing. They provide a full decal sheet with the only additions being the wing tank numbering and lettering that I added from my decal stash. 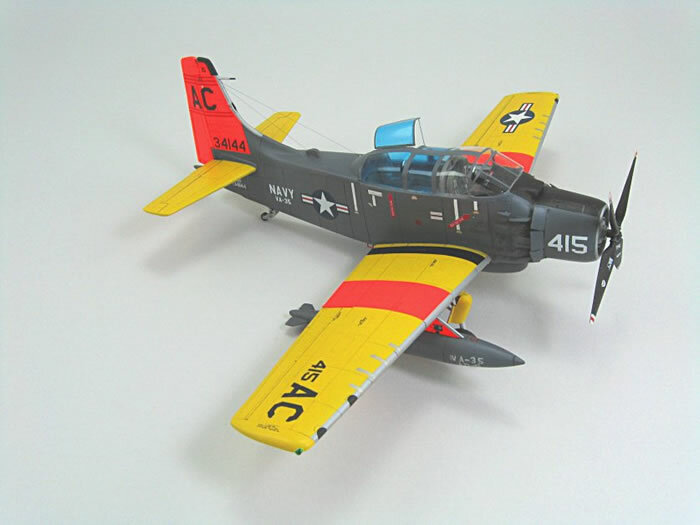 The RVHP instructions show just what Hasegawa parts are to be utilized for the conversion and all parts fit well together, including the RVHP resin inserts that were used for modifying the wheel wells to the four-holer version of the Skyraider. I did have to change the tail serial number as the numbers provided on the RVHP sheet did not correspond with the known production run serials. The major conversion pieces were two resin fuselage halves that mated nicely with the Hasegawa wing. The old Monogram 1/72nd kit canopy seemed to fit the best so I vacuformed it and glued it in place. All in all, a fun build and after detail additions, it took up a place of distinction in my showcase. 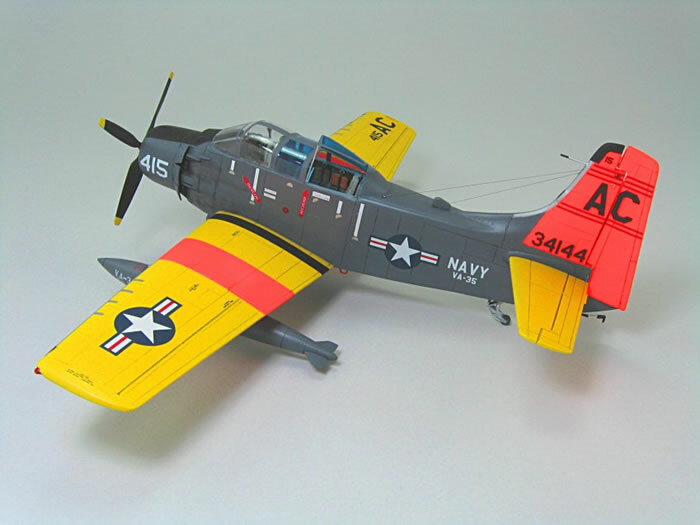 The full-build article will be appearing in FineScale Modeler magazine.